Australians retiring today can expect to live until their mid-80s. For retirees in their mid-50s, that means finding a way to pay for a further 30 years of life.The obvious solution to retiring too soon is to work longer. This provides a double benefit: it extends the savings period allowing a greater sum to be saved, and delays the point where withdrawals start to eat into accumulated funds.Many people may also overlook the social benefits of work. They end up bored, and then could face the challenges of trying to re-enter the workforce as an older worker or taking an extra risk by starting a business. 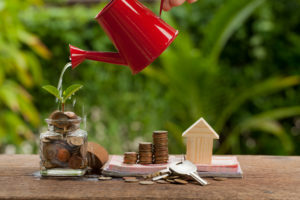 Superannuation can be withdrawn as a lump sum after retirement, and if you are over 60 it’s all tax-free.But what then?Common choices are to take that big trip or renovate the home.Of course, you’ll want to celebrate your retirement, but if you’re thinking of dipping into your savings in a big way, make sure you understand the potential implications for your future lifestyle. Just because you’ve decided to retire doesn’t mean the government is ready to give you an age pension. To begin with you need to reach pension age, which is between 65 and 67 depending on your date of birth. If you haven’t yet reached your pension age, you’ll need to fund your lifestyle until you do.Then there is an assets test and an income test. Too many assets (not including the family home) or too much income and the amount of pension you can receive will start to fall, eventually to nothing. It’s important to remember that these tests apply to the combined assets and income of a couple. If your partner is still working you may receive little or no pension. You can retire any time you like. You may even be able to access some of your super if you have an unrestricted, non-preserved component. Otherwise you need to meet a condition of release. This usually requires reaching preservation age, which is between 55 and 60, again depending on date of birth. If you’re under the age of 60 it also means ceasing gainful employment with no intention to being gainfully employed again. Between 60 and 65 it is sufficient just to cease an employment arrangement. All funds can be accessed from age 65, regardless of employment status.One way to access super after reaching preservation age but without retiring is to start a Transition to Retirement pension. However, this must be paid as an income stream. Lump sum withdrawals are not allowed. It can be hard enough keeping up mortgage, car finance or credit card interest payments even when you’re working. It can become a real burden in retirement.Where possible, do your best to pay down debt. It may help to consolidate debts and pay off one loan at the lowest possible interest rate. Downsizing your home may also allow you to start retirement debt-free. The Association of Superannuation Funds of Australia’s (ASFA) Retirement Standard https://www.superannuation.asn.au/resources/retirement-standard www.superguru.com.au How much super will I need? This entry was posted in Financial Tips. Bookmark the permalink.